A Super Cute Someone in (any location) loves me design. This awesome colorful words with hearts design is very childlike. 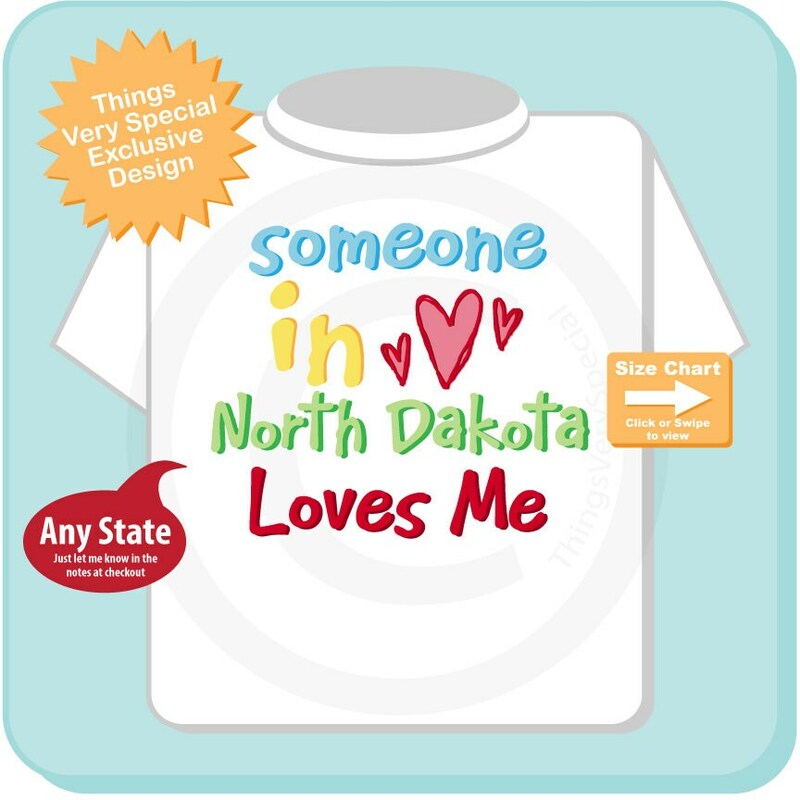 This design is shown with the state North Dakota but any state can be done. State location you want shown.